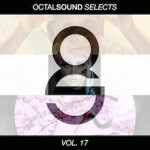 Octal Sound is stoked to share Octal Sound Selects Vol. 17. We’ve got plenty of vibe for you guys this time around. We start things off with Griz’s latest ‘Summer ’97’ so you can celebrate the sweet days of summer with Griz’s brand of electronic funk. Up next is KSHMR and Vaski’s upbeat tune that gives us a Krewella vibe. Francisca Hall sounds extraordinary and they chop her vocals into a club-ready banger. Finally, Luca Lush gets you ready for the pool party by starting off chill and then diving in to a killer drop. You can download all of these songs for free HERE and be sure to stay tuned for more Octal Sound Selects.